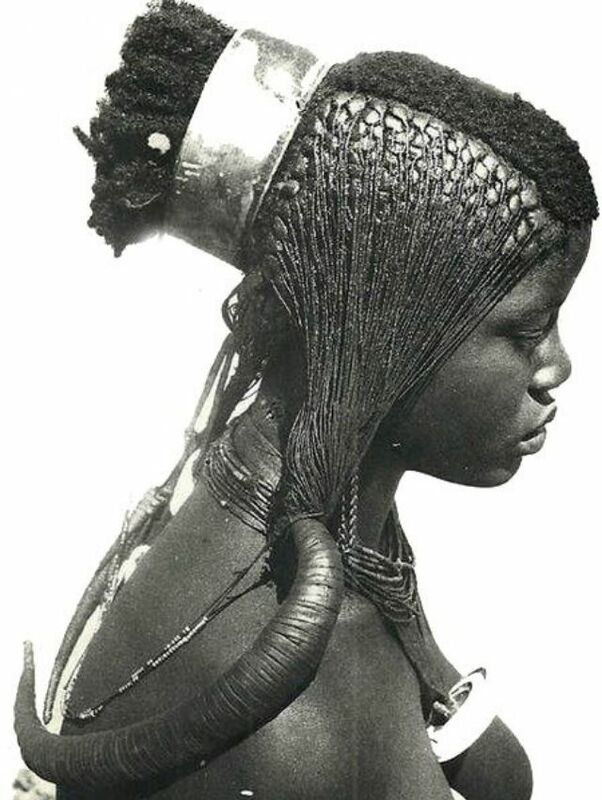 As early as the 15th century, hair was the main disseminator among different tribes and within communities of marital status, age, wealth, and rank on the social hierarchy within a community or tribe. 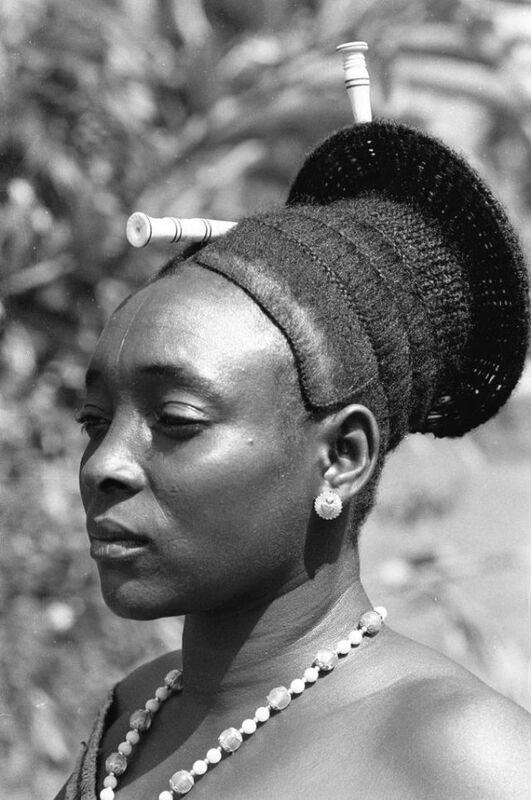 Members of royalty would often wear elaborate hairstyles as a symbol of their stature, and someone in mourning, usually women, would pay little attention to their hair during the period of grieving. 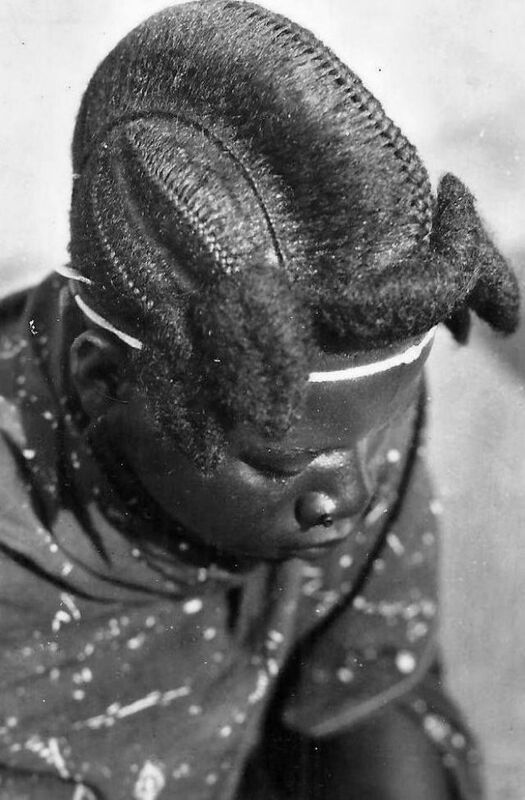 Hair was seen as a symbol of fertility as thick, long tresses and neat, clean hair symbolised one’s ability to bear healthy children. 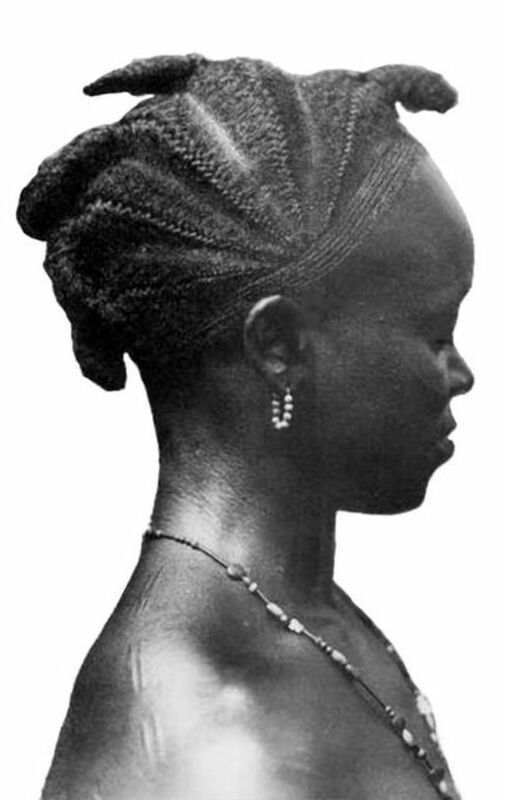 Ancient communities believed that hair could help with divine communication as it was the elevated part of one’s body. It’s also why hair was entrusted to close relatives for styling as it was believed that if a strand fell into the hands of an enemy, harm could come to the hair’s owner. 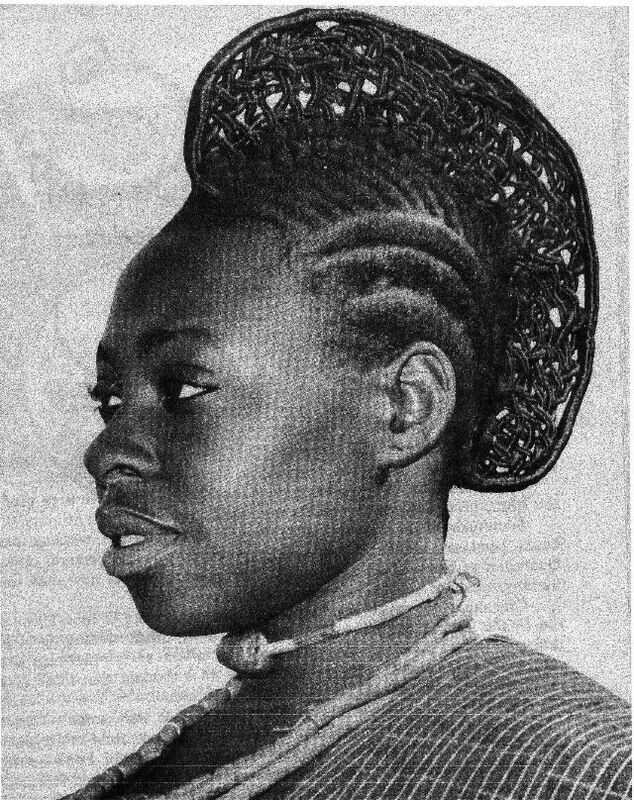 Hair was also a social activity, as it still is today, as women gathered to do each other’s hair and had opportunities to socialise. 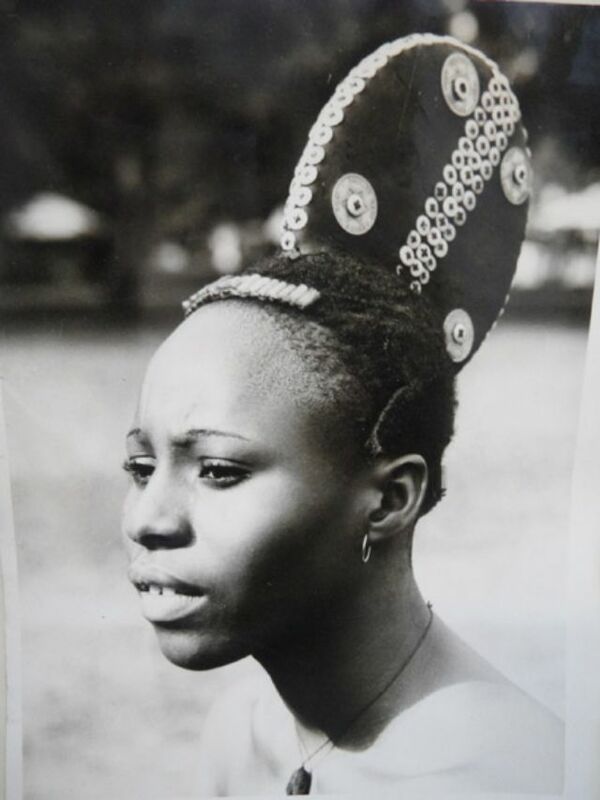 With so much tradition and different hairstyles that came from earlier African civilisations, here’s a history of some of the most notable hairstyles and hair traditions from across the continent. 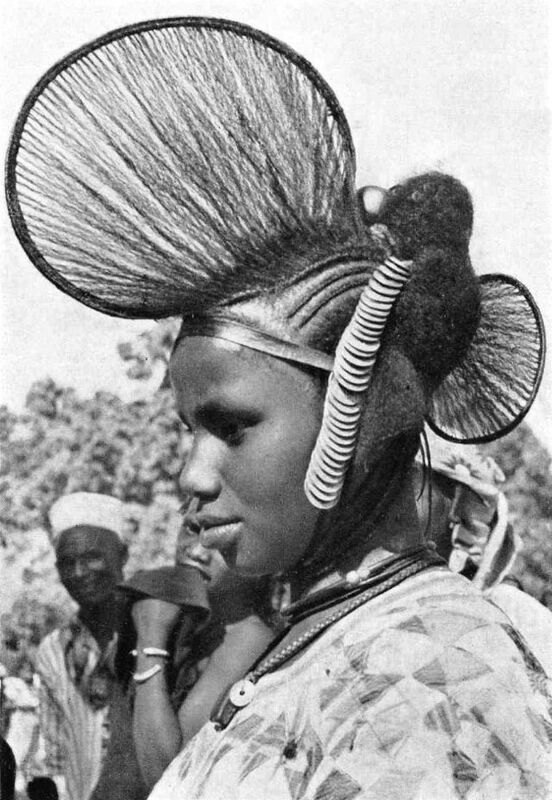 Fulani (Peul) woman from Fouta Djallon, central Guinea. 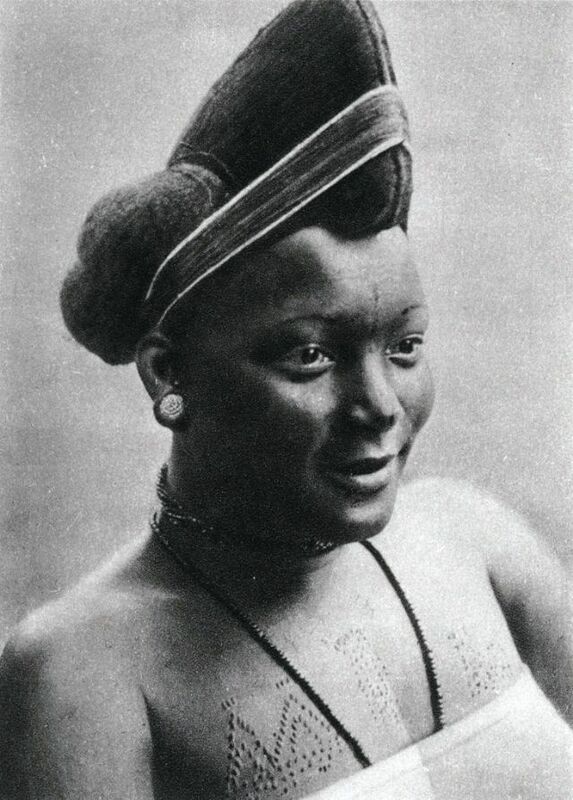 Zulu women in traditional hairddress. 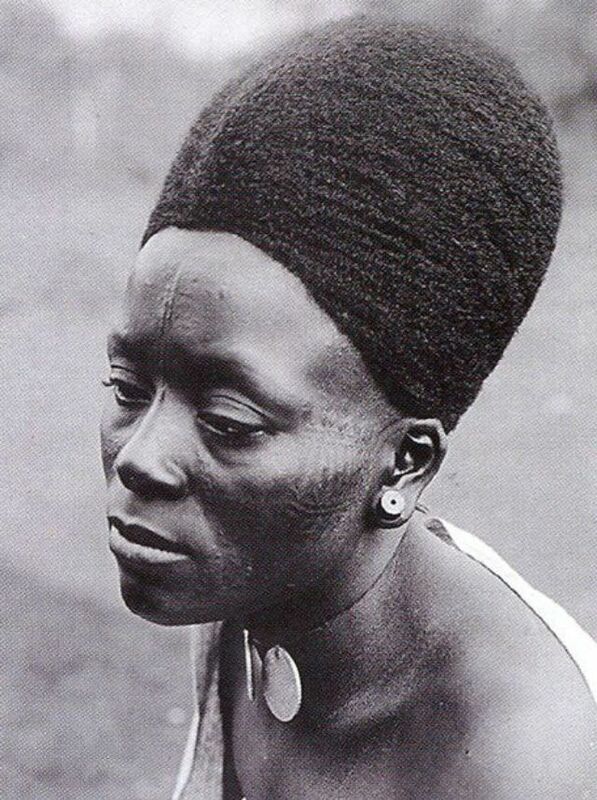 From Congo, a Mangbetu woman with a fine coiffe. 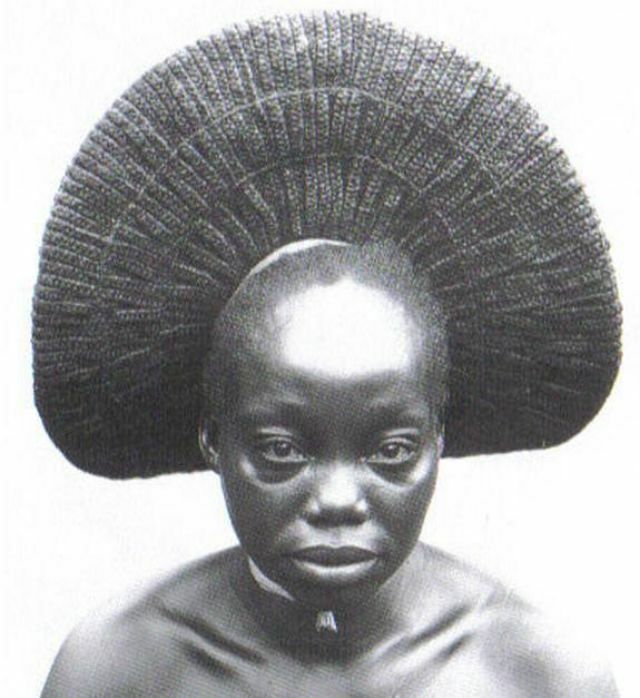 Nasara, one of the wives of Akenge with typical fan-shaped style of the Zande, Democratic Republic Congo. Photo by Herbert Lang Expedition, 1909-1915. 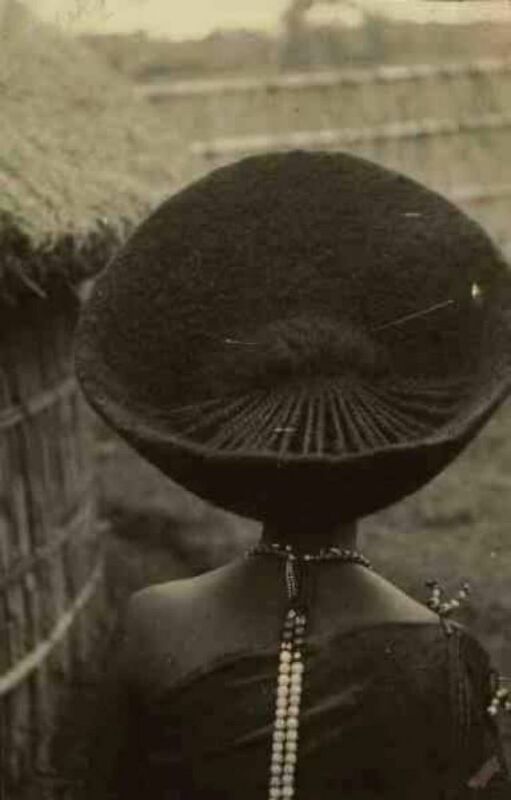 Married Ova Wambo woman wearing the Omhatela headdress, c.1940. Namibia/Southern Angola. Photo by A. Scherz. 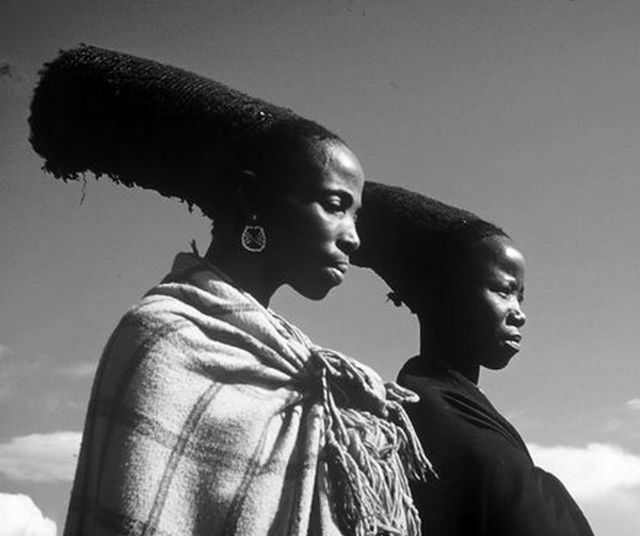 Hairstyle in Jimma, Oromiyaa, East Africa. 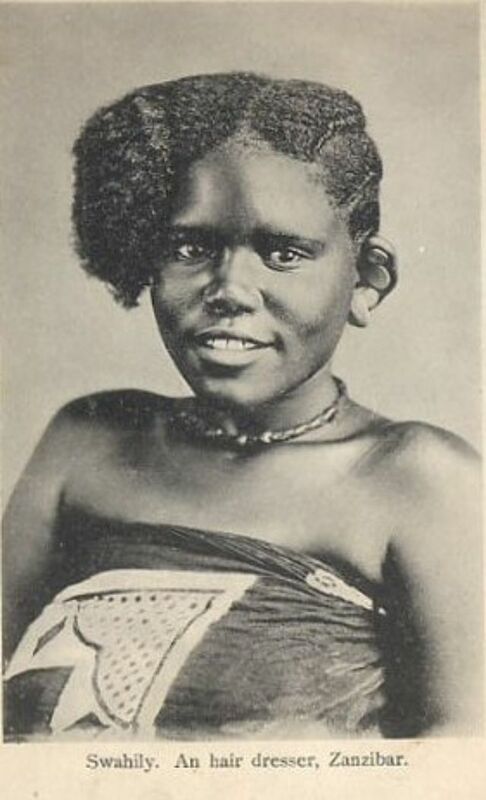 Young Swahili girl from Zanzibar. 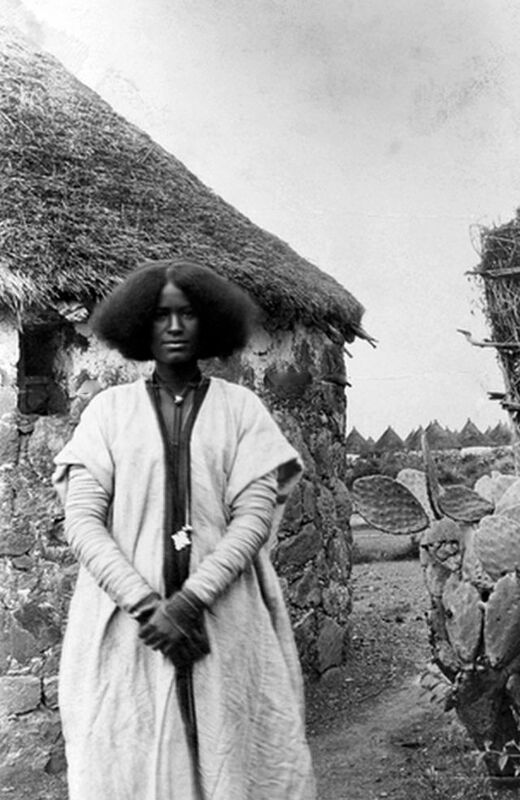 A woman from Dakar, Senegal. 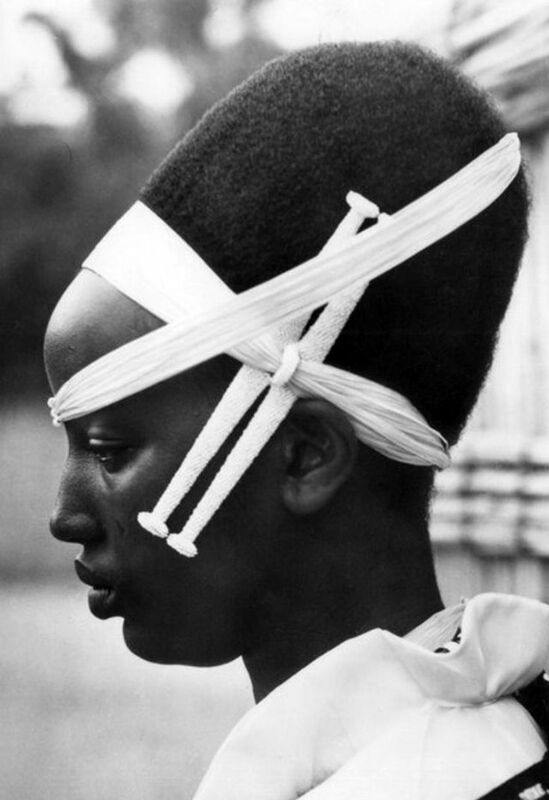 Beautiful Oromo (kemetic Africa) hairstyle in Jimma, Oromia. 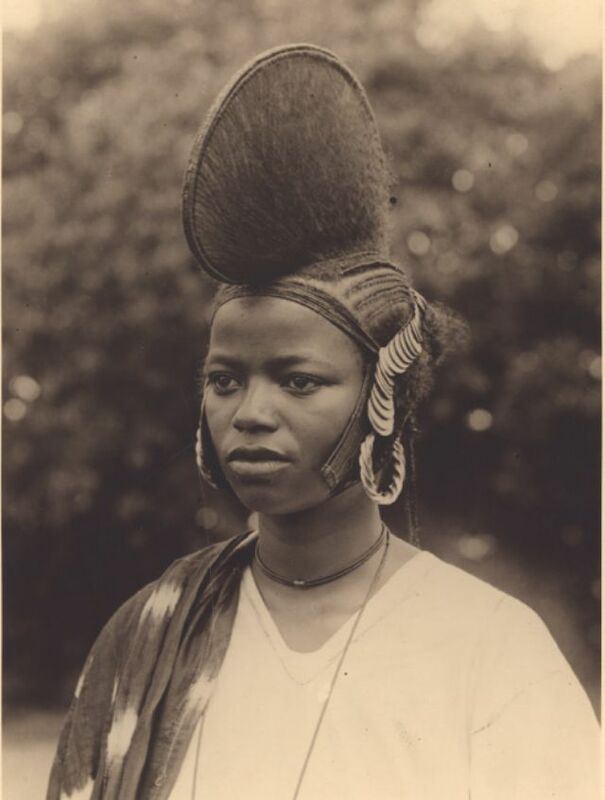 Fula (Fulani/Fulbe) woman from Guinea. 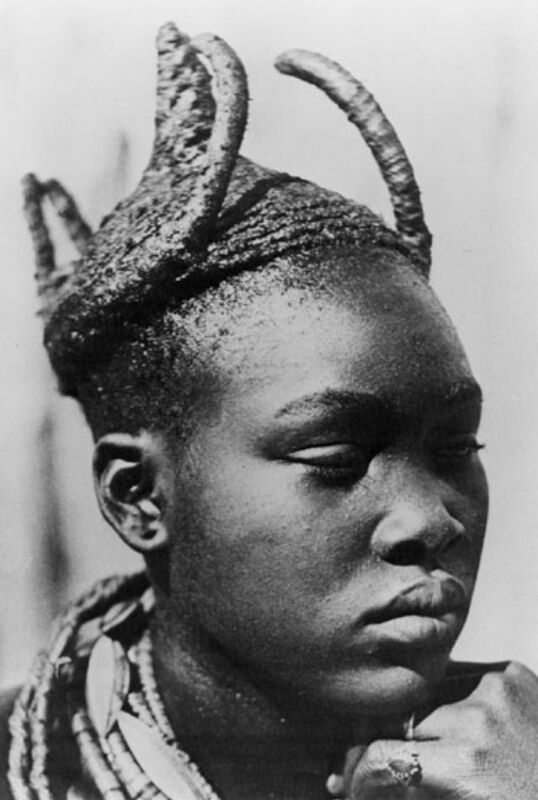 Ukuanyama (Ovambo) woman from South West Africa (now Namibia), 1936. 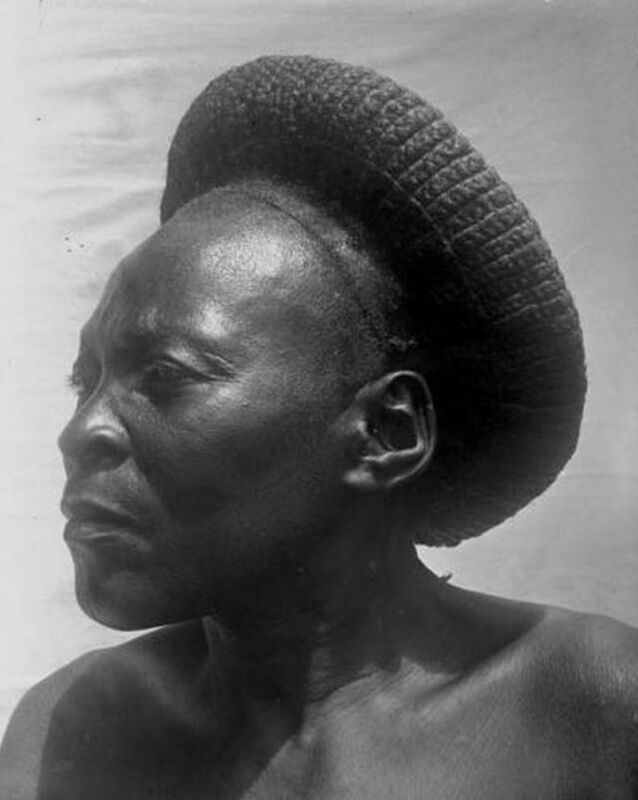 The Oshikoma and Iipando headdress of Ngandjera women, c.1940s. 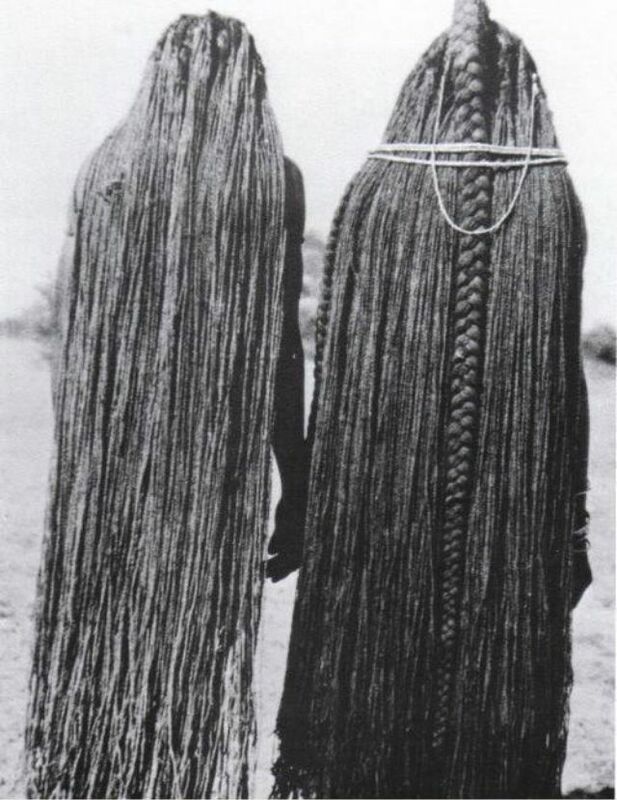 Two Mbalantu (Wambo group) women whose braids have been lengthened to their ankles through the use of sinew (eefipa) extensions. 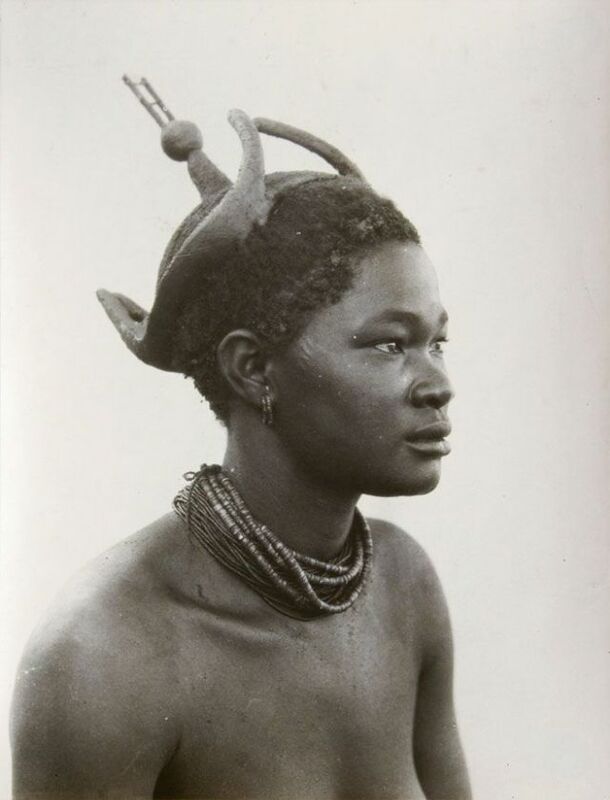 Namibia, c.1940s. 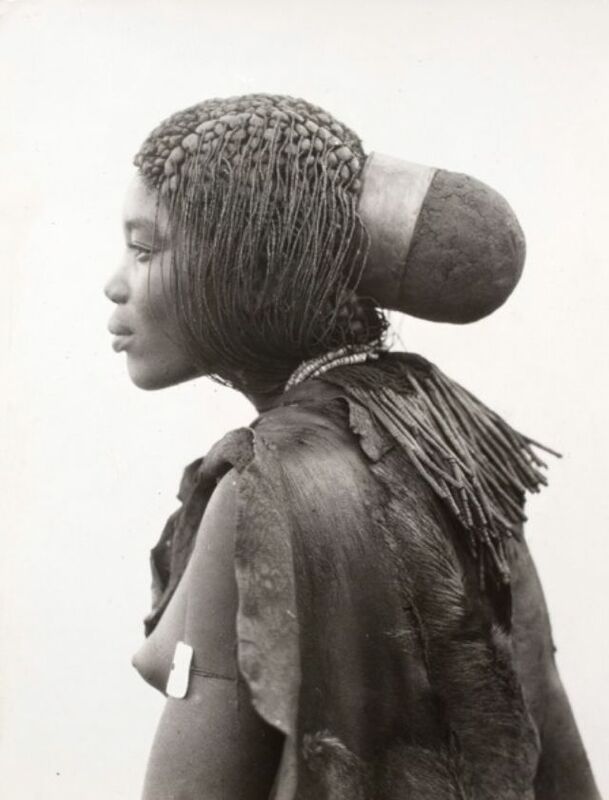 African woman from Foumban, Cameroon, c.1911 - 1915. 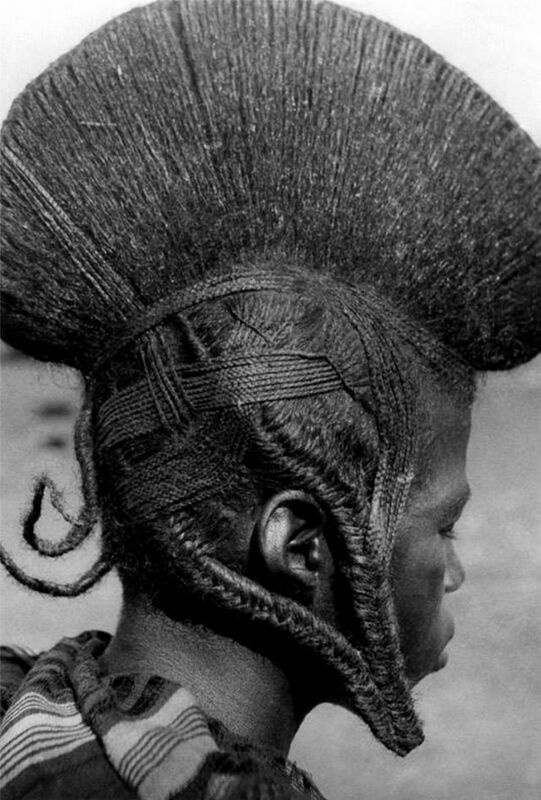 Indigenous hairdressing in Cameroon. 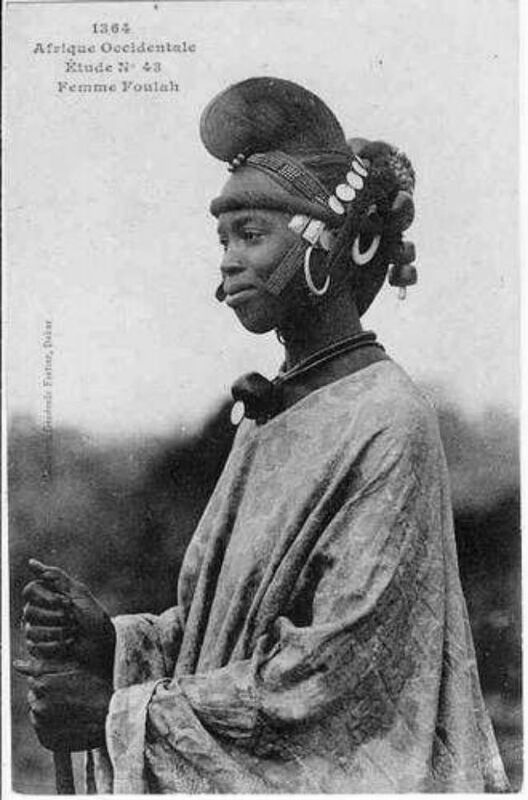 She is the favorite wife of King Njoya, c.1911-1915. 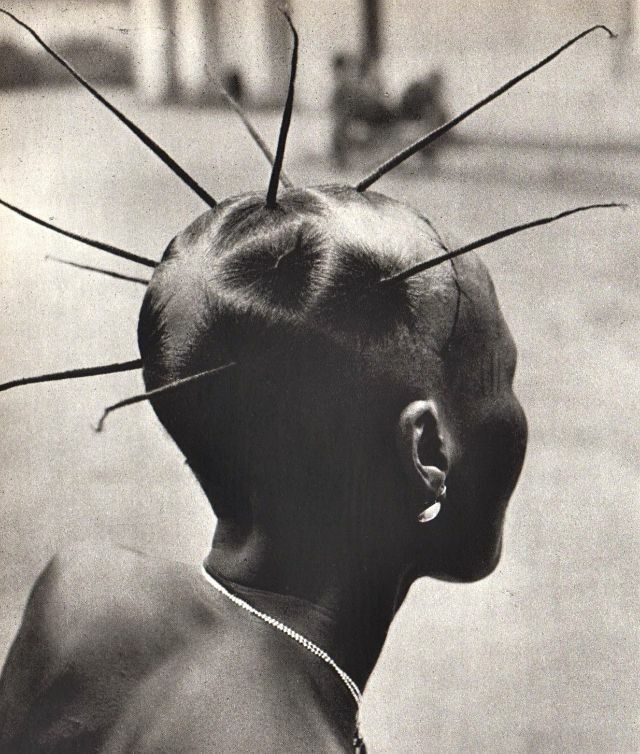 Dominique Darbois, African dance, Artia, 1962. 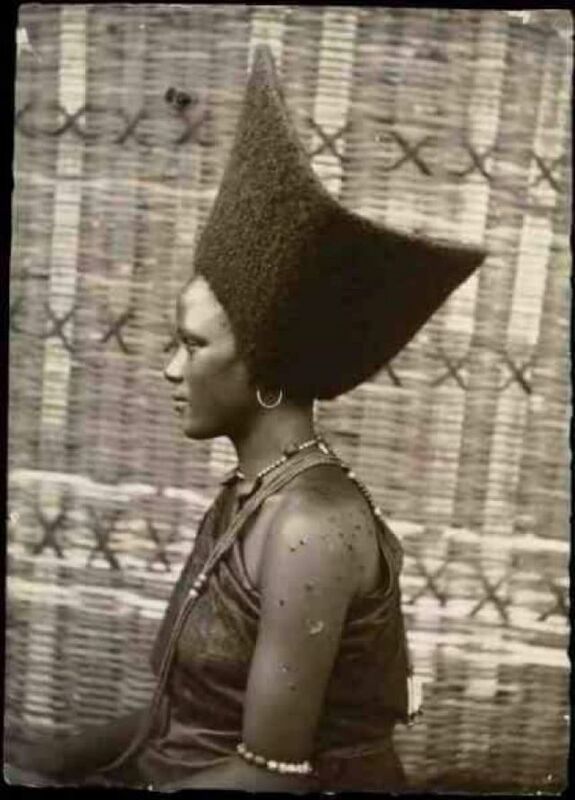 Artagence Coiffure Africaine Ethnik Somali.